These badges are to let the world know that you know that everything is an illusion and that's okay! Each one is a powerful pattern to sway you from your standard daze. 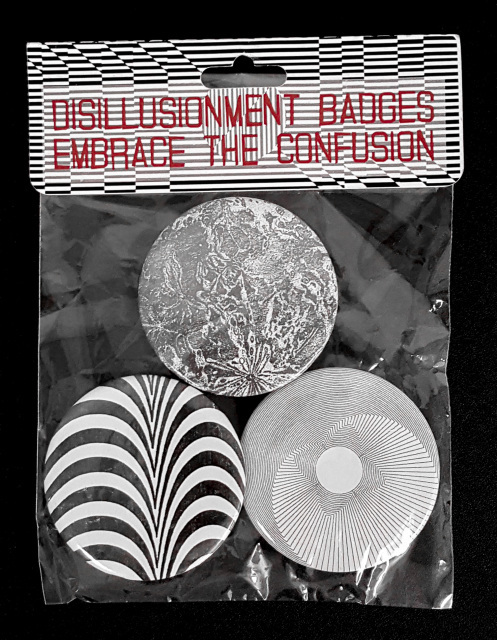 Take these disillusionment badges out to see the world and embrace the confusion! Get up and stand up for your rights. Show your message loud and clear with one of these buttons! Say no to fascism and yes to the resistance! 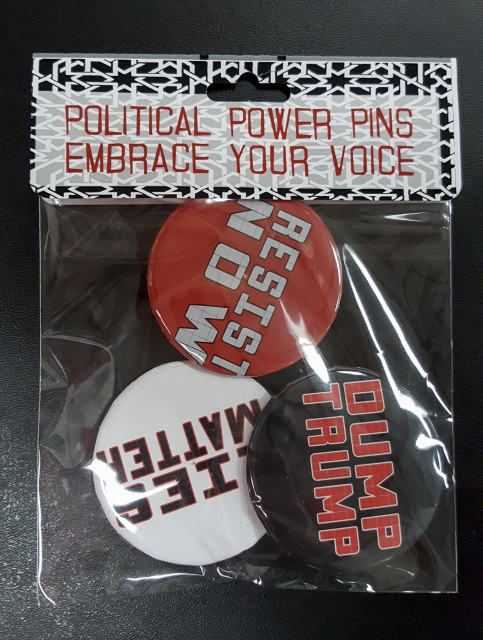 These pins are bold and shout silently at those that pass you by to say LIES MATTER, DUMP TRUMP, OR RESIST NOW!